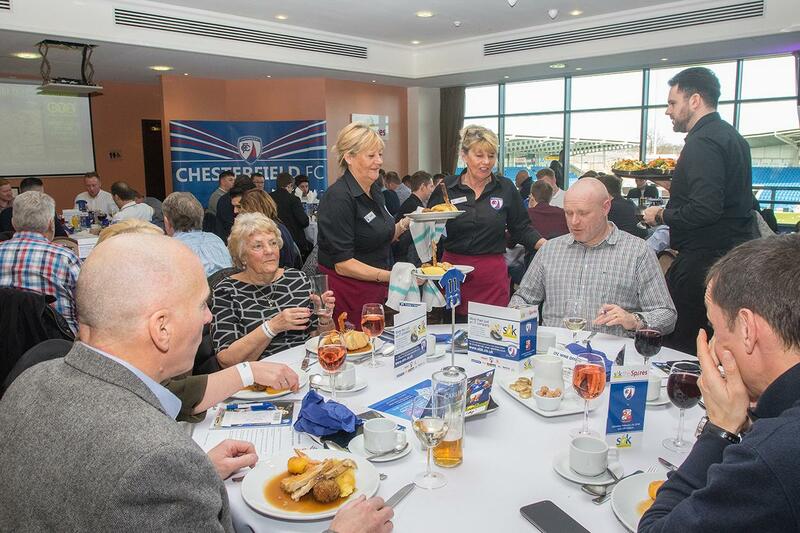 Why not give yourself a treat and purchase a ticket for our VIP Matchday Hospitality. Enjoy a sumptuous three course lunch in the SBK Computers Spires Restaurant, offering superb panoramic views overlooking the pitch, followed by all the football action from reserved padded seating in the exclusive area of the Van Yard (West) Stand – a superb vantage point from which to watch the game. Man of the Match presentation tops off a day of exceptional hospitality, service and entertainment. Our VIP Hospitality Days are available for all games during the season. 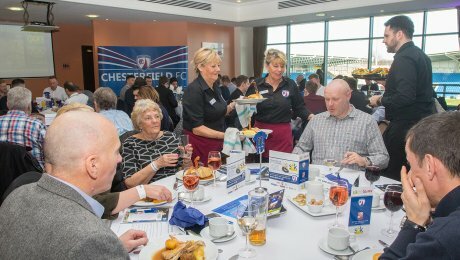 Please note: Season ticket holders can upgrade to VIP Matchday Hospitality for a 25% discount on this rate.